What if America's treasured historic buildings were actually costing the community? 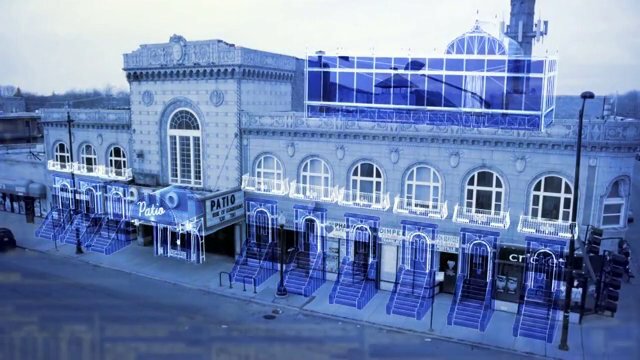 Movie Palaces and theaters, Institutions like hospitals, schools, rehabilitation and asylum facilities; shipyards, libraries, colleges, glorious buildings built by legendary architects are falling into disrepair and ruin and while we argue to "save" history, we have to ask ourselves what is it really costing the community? When these mammoth buildings fall into abandonment we see poverty, crime, and abuse quickly following in their footsteps, and when these buildings are cost prohibitive to tear down, communities must redefine "Preservation of History" in order to kick start a starving economy suffer the consequences. With expert opinions, heartfelt stories of the building's history and a little creative thinking, thanks to the beauty of computer graphics, The Cost of History will reveal these buildings present conditions and explore how they can have a second life and drive the local economy forward, or come to terms with their date for demolition.